Built in the 1880s, this elegant and stylish beachside mansion offers prestige and character. 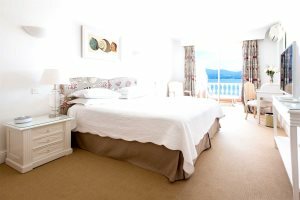 All 27 rooms differ in size and views, and for those looking for the stunning sea views of the Ajaccio Gulf, upgraded rooms are available at a supplement. In the morning, a buffet style breakfast is served on the garden terrace next to the inviting pool and overlooking the beach. 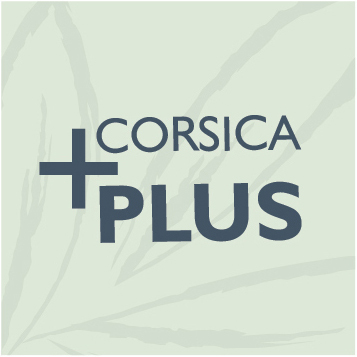 The location of the hotel is truly superb, enjoying a tranquil setting with views of the crystal clear waters whilst being a 20-minute walk from the hustle and bustle of Ajaccio town centre. Just a short drive from les Mouettes, there is a breathtaking walk along the maquis carpeted ridge of hills known as the famous “les Crêtes,” or you can visit the secluded beaches encircling the gulf. 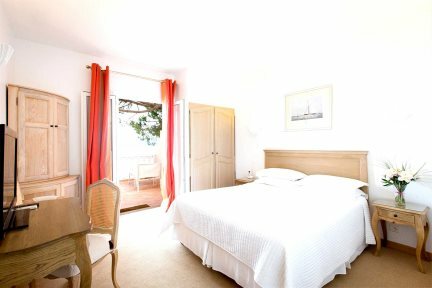 Hôtel les Mouettes has become a popular choice with our guests and is a perfect property from which to explore the Ajaccio area. "What a beautiful hotel, our room was fantastic and our terrace was huge! A lovely buffet breakfast out on the terrace." Heated swimming pool (12m x 5.4m, max depth 2.8m), restaurant, bar, outdoor Jacuzzi, parking, laundry service, babysitting, Wi-Fi, private sandy beach with use of sunloungers and snorkeling equipment. Bicycle rental, baby sitting and laundry service (payable locally). En-suite bathroom with wc, television, telephone, minibar, safe, Wi-Fi, air-conditioning. Double or twin bedrooms with en suite bathroom and wc. Located on the ground or first floor, they have a rear view / no sea view. Facilities include: satellite television, telephone, air-conditioning, safe, Wi-Fi and mini-bar. Double room with en-suite bathroom or shower room and wc. Located on the ground or first floor with terrace and views across the pool area to the sea. Facilities include: satellite television, telephone, safe, air-conditioning, Wi-Fi and mini-bar. Double rooms with ensuite bathroom and wc, large seating area, terrace and stunning views across the gulf of Ajaccio. Situated on first or second floor. Facilities include: satellite television, telephone, air-conditioning, safe, Wi-Fi, iPhone dock and minibar. The 2 Junior Suites are located on the first and second floor and offer panoramic views from their large terrace. Being the largest rooms in the hotel, they each have a bedroom and a separate living area with a sofa-bed for an additional guest. 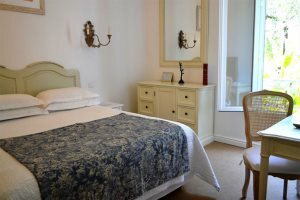 Facilities include: satellite television, telephone, air-conditioning, safe, minibar, Wi-Fi, IPhone docking station and en-suite bathroom with wc.